Info Katie is a proven business leader who has created jobs and made payroll. As an executive with military defense contractors, she has helped lower costs while ensuring our nation’s military has the tools they need. As our next Member of Congress, Katie will be a strong, informed voice to protect our men and women in uniform, including her daughter, while also ensuring our veterans get the care they need and deserve. As a recently elected Republican State Representative, Katie has seen first-hand that Washington has too much power over state and local decisions. As our voice in Washington, she will ensure our state and local officials’ ideas and decisions are not snuffed out by federal control. Katie will always work to uphold our Constitution, including our Second Amendment rights. With a sister working in a local school district, Katie knows parents and teachers must come before Washington bureaucrats in decisions on our children’s education. Katie’s husband is a successful small business owner, and she knows first-hand that government red-tape kills jobs. As our Congressman, Katie will work to help grow our economy and protect jobs in the Lowcountry. As a wife, mother and woman of faith – Katie strongly supports pro-life values and will unapologetically protect the sanctity of life. 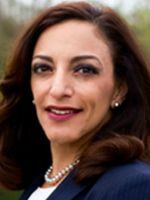 If you want someone ready, willing and able to serve us – and not himself, vote Katie Arrington. She will be a Congressman we can all be proud of, as she is and always will be a strong voice for our families and our freedoms. 06/09/2020 SC District 01 - R Primary ?? ?